Our University has that same endeavour and ambition to reach out to the world, to embrace multiculturalism and work in collaboration with new partners. Today, we are a global university, with more than 80 partnerships with universities and colleges in more than 30 countries – collaborations that extend our academic community across geographic boundaries. Our students now graduate in London and Hong Kong, and from 2015, in Singapore and Sri Lanka as well. And our academics deliver Plymouth’s expertise across a range of subject areas to partner institutions, helping to support the extension of British higher education across the world. As you’ll see from the stories contained in this section, we are also moving across pedagogic boundaries. Our new academic partnership with the Marine Learning Alliance, for example, will provide online delivery of professionally accredited marine and maritime programmes. Backed by IMarEST, the leading professional body for marine science and engineering, it has an ambitious plan for global expansion – one we will support whole-heartedly. 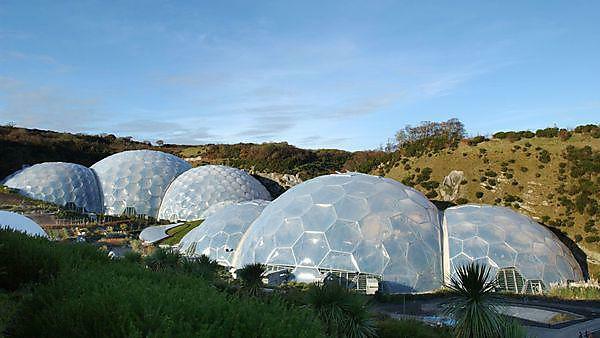 In December, the Eden Project announced it would host the delivery of higher education courses for the first time. “The future will belong to those who have real dirt-under-the-fingernails skills, allied to an intellect that enjoys problem solving. The Marine Learning Alliance (MLA) specialises in marine and maritime qualifications through e-learning. Until recently part of University of Plymouth, the MLA is now a wholly owned subsidiary of the Institute of Marine Engineering, Science and Technology. The MLA now operates as an academic partner to the University, which approves its programmes. The MLA works closely with Academic Partnerships and the Faculty of Science and Engineering at University of Plymouth to offer short courses, and undergraduate and postgraduate qualifications in subjects including hydrography, meteorology and oceanography. These have been designed to meet the needs of the maritime industry, enabling students to study while out at sea on vessels or oil rigs. Their learning is then supplemented by intensive sessions while on shore leave, and by web-based support from tutors. study with our partners at NSBM.